(27 May 2016, Ulaanbaatar) The Asian Forum for Human Rights and Development (FORUM-ASIA) together with its members, Centre for Human Rights and Development (CHRD) and Globe International (GI) and its partners, the Asian Network for Free Elections (ANFREL) and the Human Rights NGO Forum (Mongolia) jointly call for all political parties, which will participate in the upcoming parliamentary elections on 29 June 2016, to include various human rights agenda into their political platform. After the peaceful democratic revolution in 1990, the Mongolian democracy has been known as a newly but well-established one. However, the road to democracy is not without obstacles. Despite the vibrancy of Mongolia’s democracy, the country might be, nonetheless, facing the global phenomena of democracy fatigue when the percentage of voter turnout kept decreasing from 98% in the 1990 parliamentary elections to 65.24% in 2013.This usually happens when people are frustrated with mainstream politics or feel that representative democracy is irrelevant for them, especially with the young generation. The only way to bring the enthusiasm of the Mongolian people back is to make democracy relevant by including the human rights agenda into the political platform of political parties. The forthcoming State Great Khural elections, therefore, are a great opportunity for all registered political parties to engage with civil society regarding human rights and development. Ensure inclusive and participatory decision-making and policy development process related to poverty, food, and agriculture. Establish a legal framework for human rights defenders to ensure an enabling environment for their work. Provide trainings and capacity building for law enforcement officers related to women rights, domestic violence and human trafficking. Conduct trainings for middle school and high school students on gender equality. The Mongolian civil society organisations further call on all political parties to: include a human rights agenda into political parties’ policy; ensure a human rights based approach in their political platform; develop a human rights education plan; ensure public participation to identify Sustainable Development Goals (SDGs) measurement; amend the NGO law; provide an enabling environment for civil society in the country; ensure the protection of human rights defenders, especially those who work on environmental-related issues; and implement the legal framework for remedies and reparations for victims of human rights violations. 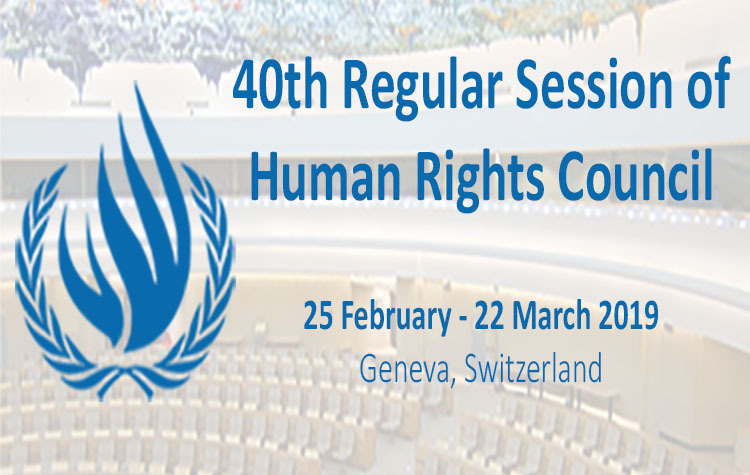 The human rights groups also emphasise the role of Mongolia at the international level as Mongolia is currently a state member of the United Nations Human Rights Council, as well as the Community of Democracies. The incoming Great State Khural members must demonstrate their commitment to: fulfil the voluntary pledges submitted to the United Nations General Assembly on 5 October 2015 regarding election of the Human Rights Council; implement the 150 accepted recommendations from the second cycle of Universal Periodic Review with full participation of civil society; and play its significant role as a member of the United Nations Human Rights Council to promote and protect human rights worldwide. The groups recognise that human rights thrive in a genuine democracy based on the free will of the people. Thus, we call upon the General Election Commission (GEC) of Mongolia to maintain its professionalism and independence, and ensure universal franchise, provide mechanisms for participation of the vulnerable sectors, and guarantee the rights to contest in the electoral process. Universally recognised principles of free and fair elections should be upheld, laws must be enforced in a manner that is fair to all parties concerned, and a level playing field should be ensured. We, nonetheless, are concerned by the recent adoption of the new Election Law in December 2015 which contains provisions that may hinder the right to freedom of expression and press freedom in the context of elections. We demand the incoming Great State Khural members to review and amend accordingly the provisions in the new Election Law to be in compliance with international standards. Lastly, we call on all Mongolian citizens to exercise their right to suffrage and their civic duty of participating in the democratic exercise. Civil society organisations, political parties, and all stakeholders are urged to work together in promoting transparent and meaningful democratic elections.